You'll enjoy this bar at home, too. Men and women love Traveler's Choice™ Shampoo as a luscious shampoo, a gentle face and body soap, and a silky shave soap. 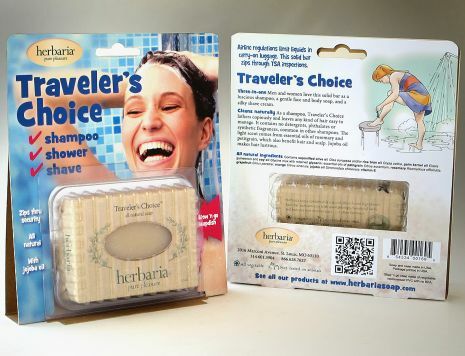 As a shampoo, Traveler’s Choice lathers copiously and leaves any kind of hair easy to manage. It contains no detergents, phthalates or synthetic fragrances, so common in other shampoos. The light scent comes from essential oils of rosemary and petitgrain, which also benefit hair and scalp. Jojoba oil makes hair lustrous. These ingredients are kind to your complexion and clean your skin without drying it out. You'll find Traveler's Choice slick and sudsy for a smooth shave without irritation. 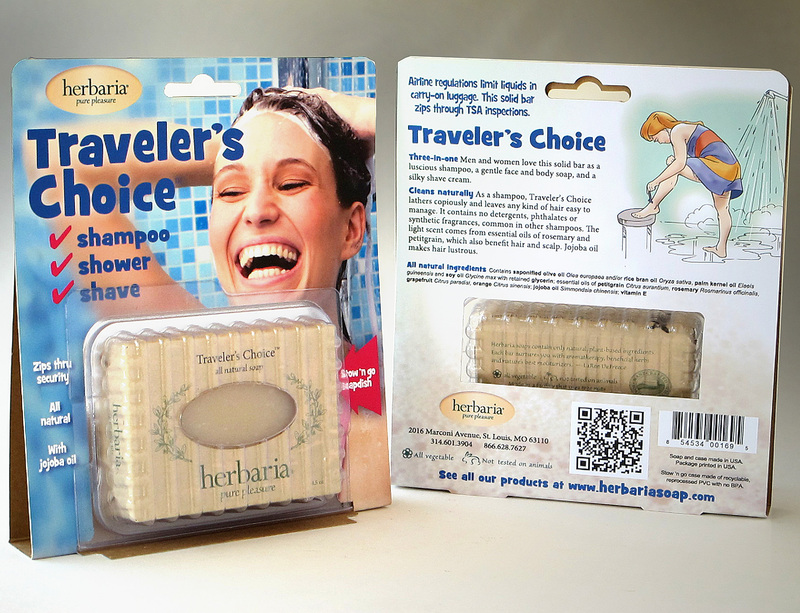 The Traveler's Choice™ kit contains our Traveler's Choice bar along with a Stow 'n Go Soap Case. The lightweight clamshell is remarkably durable. It is vented so that bars dry between uses. Shake out any water from the case before putting a wet bar away.